ABOARD THE LITTORAL COMBAT SHIP MILWAUKEE, VIRGINIA CAPES – The littoral combat ship Milwaukee, the Navy’s newest ship, broke down Dec. 11 and had to be towed more than 40 nautical miles to Joint Expeditionary Base Little Creek, Virginia. The ship suffered an engineering casualty while transiting from Halifax, Canada, to Mayport, Florida, and ultimately its home port of San Diego. The cause is being evaluated by ship’s crew and technical consultants. Initial indications are that fine metal debris collected in the lube oil filter caused the system to shut down, according to a Navy statement provided to Navy Times. The cause of the metal debris in the lube oil system is not known and assessments are ongoing. The ship was commissioned Nov. 21 in Milwaukee, Wisconsin, and has been making the long trek to San Diego through the Great Lakes since. Problems with the propulsion plant began almost as soon as Milwaukee got underway from Halifax. The ship’s computer system triggered an alarm and the ship called away an engineering casualty. Engineers cleaned out the metal filings from the lube oil filter and locked the port shaft as a precaution. In the early hours of Friday morning, the ship was conducting steering tests and lost lube oil pressure in the starboard combining gear due to the presence of the same metal filings in that filter. The metal filings in the lube oil have not been a class-wide issue, according to the Navy. The ship then dropped anchor while the engineers worked on the system. By mid-morning, the salvage ship Grapple rendezvoused with Milwaukee and connected a towing hawser line for the trip back to Little Creek. The ship is currently manned by Crew 104, and was scheduled to swap with Crew 108 in Mayport. The crews will now swap in Virginia while the ship’s system is repaired. News of the breakdown reached Capitol Hill by late Friday. Sen. John McCain, chairman of the Senate Armed Services Committee, said in a statement to Navy Times that the plant issues were troubling and called for accountability. 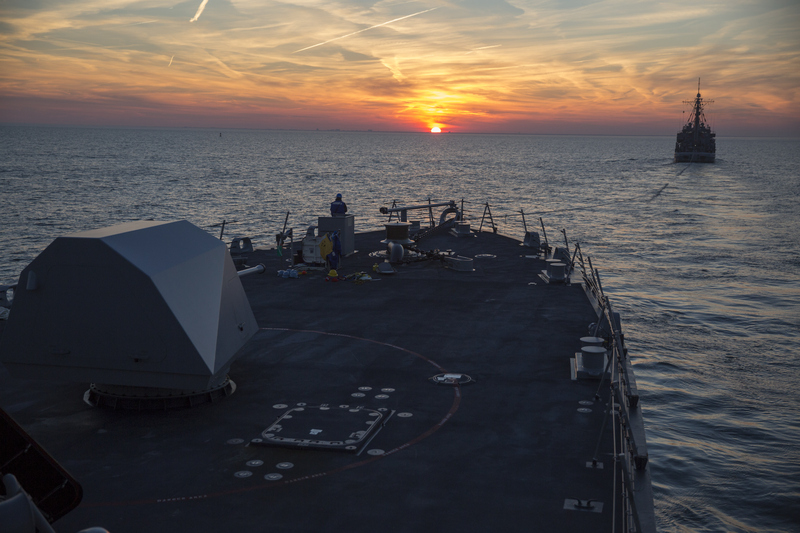 “Reporting of a complete loss of propulsion on USS Milwaukee (LCS 5) is deeply alarming, particularly given this ship was commissioned just 20 days ago,” McCain said. “U.S. Navy ships are built with redundant systems to enable continued operation in the event of an engineering casualty, which makes this incident very concerning.